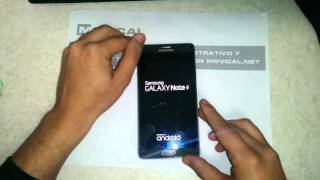 Why do Samsung N910F Galaxy Note 4 sim unlock? How many attempts to unlock a Samsung? Fortunately Samsung phones have unlimited attempts. However, if the unlock code is called several times (called bad NCK), the phone will need a second code (called Phone Freeze or MCK) to unfreeze this block. What happens if the Samsung software is modified? Unlocking is 100% effective on computers with unmodified software. If the terminal has a ROM customized with Cyanogen or other developers, the unlocking is very likely not to work. A possible solution would be to flash the phone with an official ROM, free the phone and then if a custom ROM could be installed. What is Samsung's regional unlocking? If you have purchased a Samsung in another country and are now requesting the SIM network unblocking PIN, you need to release it. We provide the regional unlocking code (called RGCK) which will free the terminal forever. Rated 4.9 of 5 based in 3367 Reviews.